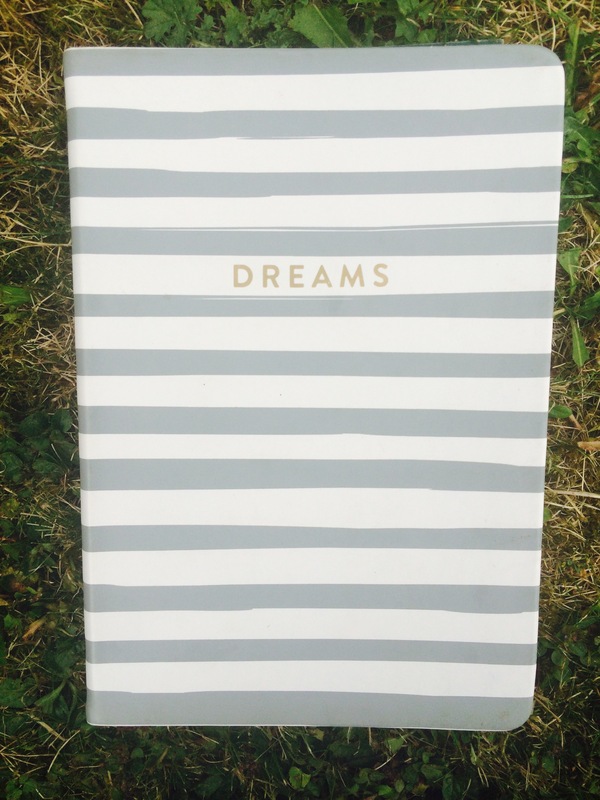 So I’ve got a new journal, it’s decorated in grey and white stripes and has the word DREAM written in gold on the front. It’s my new favourite thing (all by story time videos on YouTube). If you’re anything like me, you love stationary! The thought of September coming which means new post-it notes, highlighters and fancy pens I’m never going to use gets me so excited, I’ve already made my to-buy list! ANYWAY… I decided to take my new journal out for a Starbucks a couple of weeks ago and as I was sitting there, Chai tea latte in hand, wondering how to start the first page, looking at the cover, it hit me. What are my big, scary, ‘almost impossible’ dreams? It was only later that evening when I was speaking to my friend and she said something I hate hearing! I wanted to yell at her! I didn’t mean physically but where you are in life. If where you are is university, love it. You’ll want it back when you’re in work full time. If where you are is a job, keep going and make sure you’re doing something you’re passionate about. If you’re travelling, take in as many sights, smells and experience as possible and write them all down. But if where you are is in the middle of England, sat in a coffee shop while it’s chucking it down outside, you can learn to love that too. Enjoy where you are in the moment because too soon the moment can change and you’ll never get the same moment again. So, today, I’m going to be intentional with enjoying the place I’m in, whether it’s raining and I’m outside or at work on the hottest day of the year, because one day all this will change.